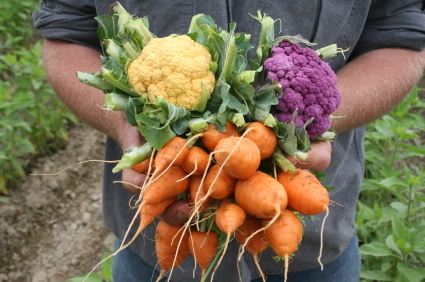 You know the health benefits of growing your own organic garden, that is why you put the time and effort into it. Learn to water your garden efficiently. A soaker hose can be laid in the garden and left on with low water pressure. This frees you up from having to hand-water the plants, so you can do other gardening work. Take care with seedlings, though — they are still delicate and need to be watered by hand. Cultivate your soil to improve the quality of your soil. When you cultivate, or till, your soil, you loosen up parts that may be compacted. Compacted soil does not absorb water well, and it discourages soil micro-organisms from growing in it. When your soil is properly tilled, seeds can thrive and grow. When you first begin using organic produce you will realize that it tends to rot quite a bit faster. This is because less preservatives are used. Having a lower shelf life means that you need to cook or eat the produce a little bit faster than you would normal store bought options. 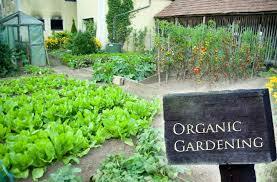 You will need to rotate the plants on a regular basis when you have an indoor organic garden. Plants need to get light from all directions in order to grow properly. If they are not rotated, plants will bend toward a light source, which can actually cause them to produce less fruits and vegetables, than they would have if they had been rotated. Making rich, organic compost for your garden doesn’t take special equipment. All you really need to do is dump your kitchen scraps, lawn trimmings and leaves in a pile, and let nature take its course. It may take a bit longer, but in the end you’ll have a rich, healthy compost. Hand weed your organic garden on a regular basis. Just get on your knees, put your hands in the dirt, and pull weeds out by their roots. If you do this regularly, you can avoid having to use harmful pesticides. Your garden will stay healthy, safe, and organic. Get rid of aphids naturally. Most aphids are taken care of by beneficial insects in the garden, but sometimes you will find an infestation. Aphids can cause plants to be stunted or distorted, and can create a sticky mold that will quickly spread from one plant to another. Use a homemade spray to blast aphids off the plant. A forceful jet of water 2-3 times a day will quickly get rid of them. For a stronger infestation, use insecticidal soap. While caring for your organic garden involves many big, day-long tasks, it also calls for smaller jobs that need to be performed more frequently. Keep a good handle on the minor needs of your garden so that you can make good use of brief periods of free time. When you have a few minutes to spare, why not use them weeding, pruning or performing other garden maintenance tasks? Hopefully, this collection of tips were enough to give you a great start on what to do and expect when it comes to growing your own organic plants. This collection was carefully constructed to be an aid in your arsenal, so that you can begin to hone your organic gardening skills into growing healthy organic produce. Copyright © 2019 West Side Binghamton Organic Gardening Tips that Everyone Can Follow.